OPEN: 08:00 am to 23:00 pm Tuesday to Saturday. 08:00 am to 17:00 pm Monday & Sunday. Offers half day, night spas and individual treatments. A vigorous and rejuvenating full body exfoliation that combines modern knowledge with ancient wisdom to cleanse your body of dead and aging skin cells. Using an original Korean technique and African traditions. Your body will never feel this young; refreshed and revived. 60 minute treatment. 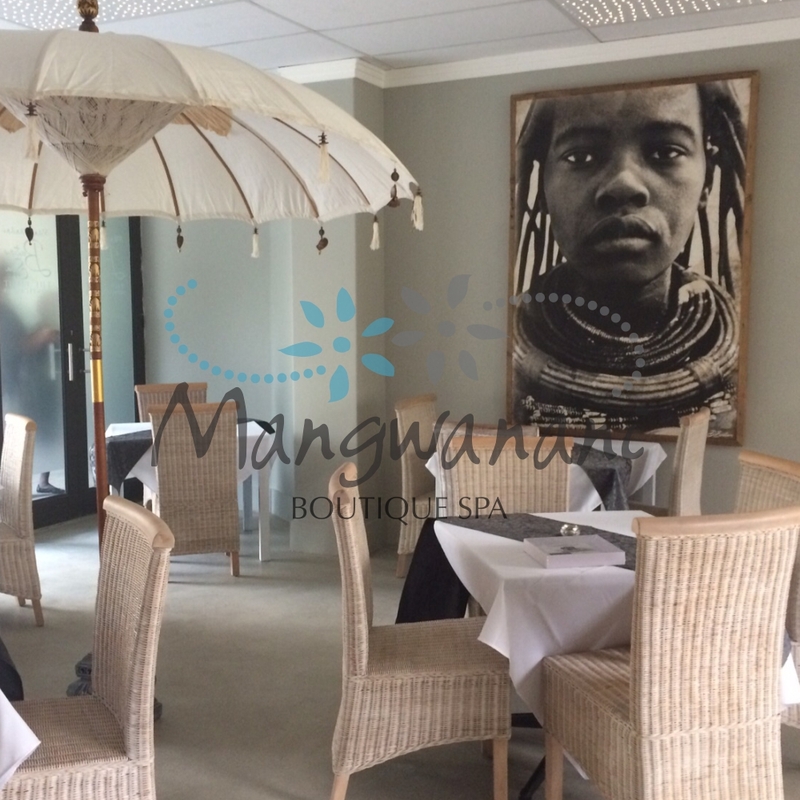 This Exquisite Mangwanani Package has been designed for the distinguished spa guest and is a magnificent option for Bridal couples or to spoil your loved one on an anniversary. Your journey begins with welcome drinks on arrival, light snacks, sumptuous dinner with desserts, complimentary bar, three lavish treatments, signature Amarula and a chocolate on departure. 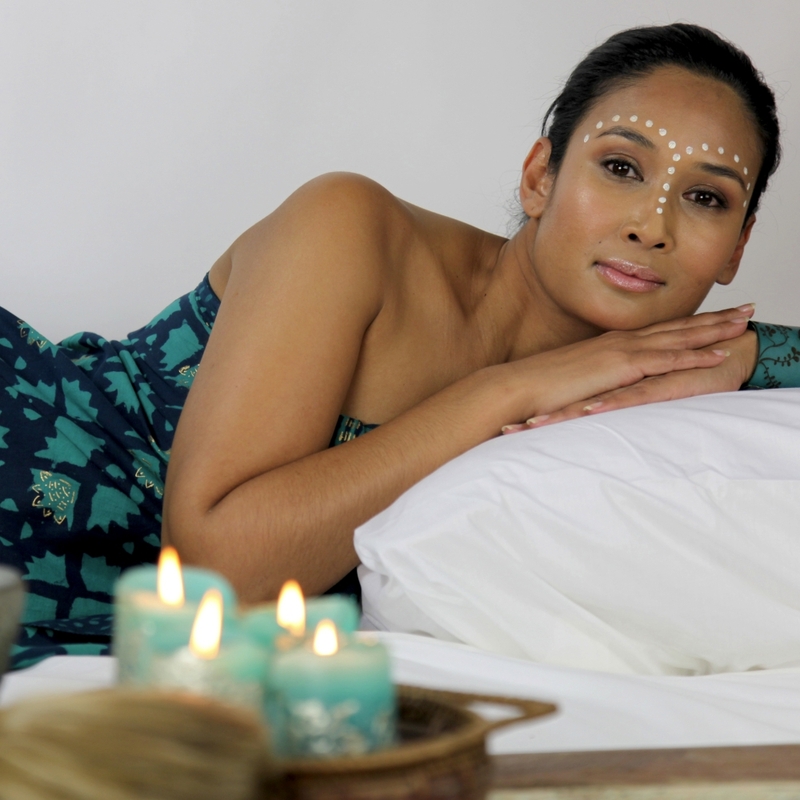 PLUS receive a Mangwanani Luxury 100% Linen Gown and a Product Hamper. Experience ultimate tranquillity with a half-day spa. 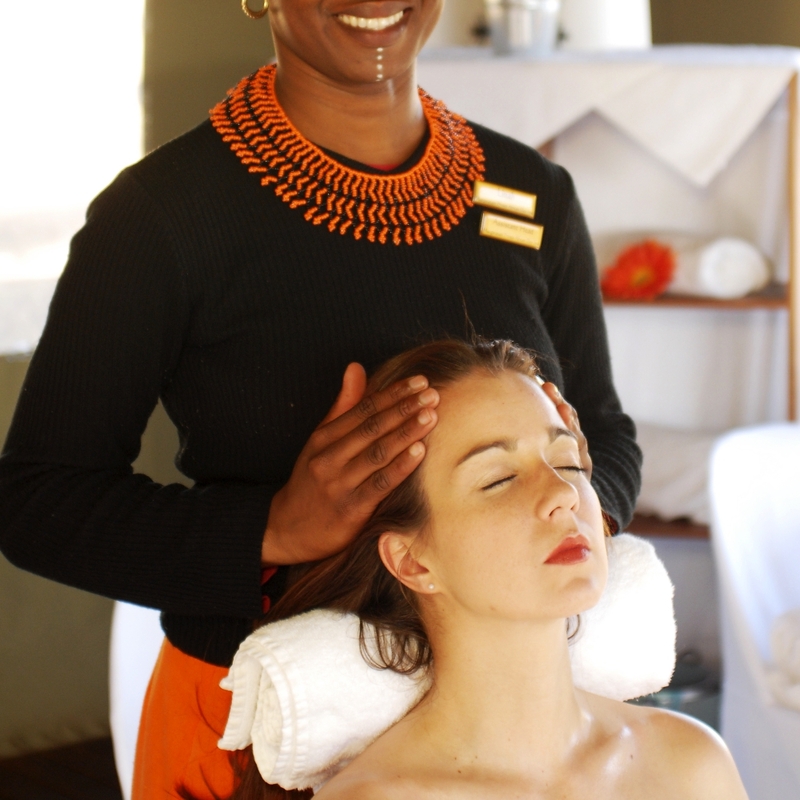 This package offers lunch as a delicious refreshment; three 60-minute therapies which include a traditional full body massage with hot stones, a royal African foot massage with cleaning ritual and exfoliation, and a North African head, neck, and shoulder massage. Select either a morning or afternoon half day package. Package includes delicious light breakfast or sumptuous lunch with desserts, complimentary bar, signature Amarula and chocolate to round off your experience. A Magical night out with Mangwanani. Cocktails and snacks on arrival are a fantastic way to start your evening: Welcome drinks on arrival, Light snacks, Sumptuous Dinner with Desserts, Complimentary Bar, Three Lavish Treatments, Signature Amarula and Chocolate on departure. An essential facial with exfoliation, relaxing massage, face-mask, toner, and moisturiser; leaving you feeling renewed and refreshed. 45 minutes. 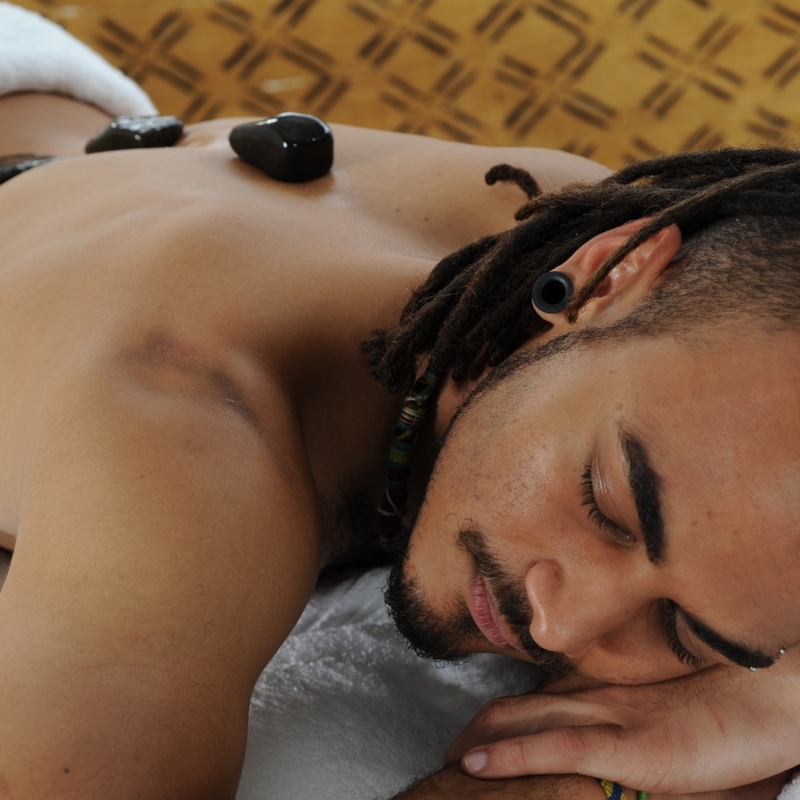 Traditional full-body hot stone therapy, or full-body massage without hot stones. 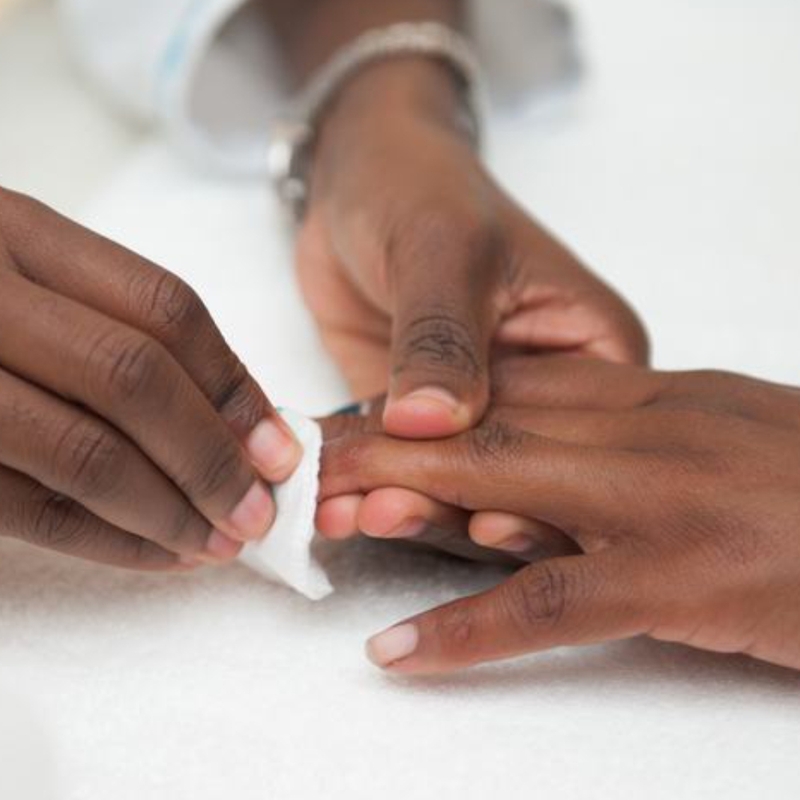 Royal African hand massage with warm rose petal water and exfoliation. 30 / 45 minute treatment. 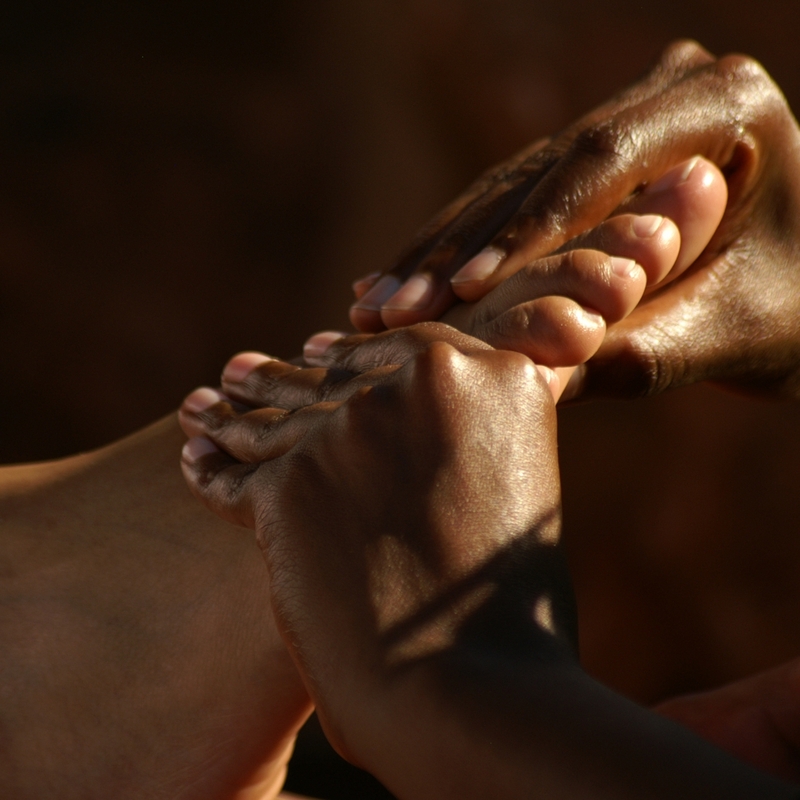 Restore your mind and body with two relaxing treatments; a 30 minute traditional North African head, neck, and shoulder massage and a 30 minute royal African foot massage wit cleaning ritual and exfoliation. These two treatments are complimented by a delicious slice of cake and tea.